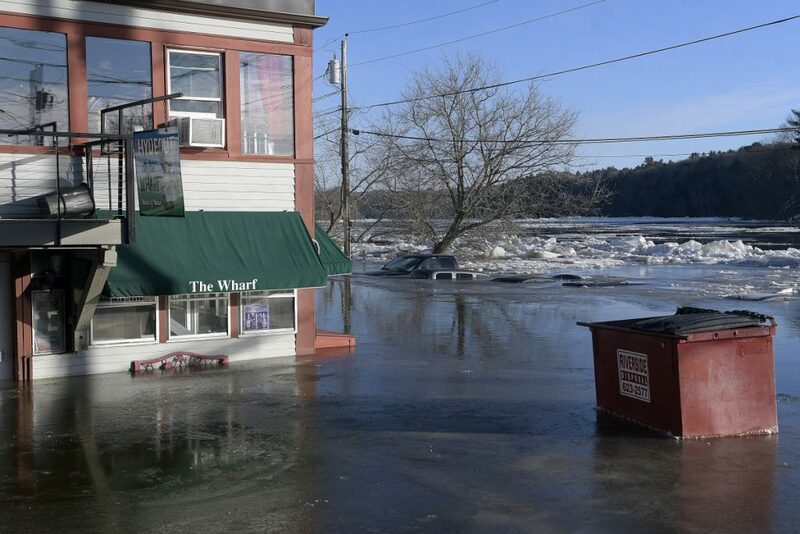 The National Weather Service said ice jams could cause flooding along the Kennebec River on Friday, and city officials began warning downtown businesses and residents on Wednesday. 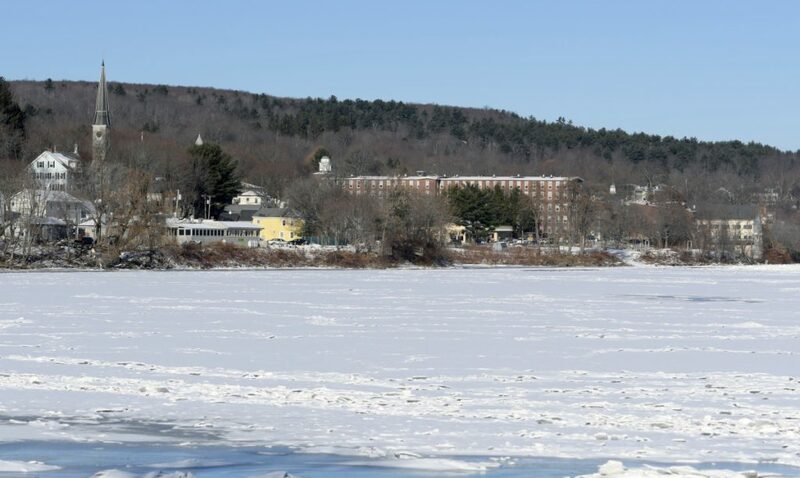 HALLOWELL — After a serious flood earlier this year, city officials are being more proactive as the Kennebec River looks primed to flood this weekend. 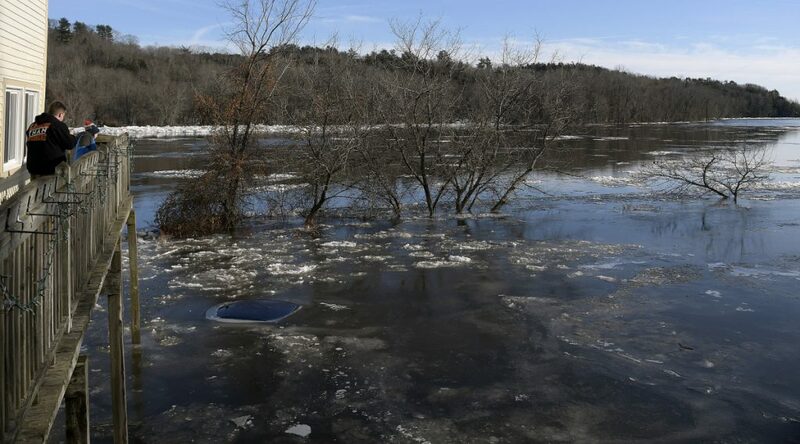 Emergency management officials are predicting ice jams along the Kennebec River from Friday until Saturday night due to heavy rain and unseasonably high temperatures. The National Weather Service’s forecast calls for heavy rain and temperatures in the high-40s and low-50s Friday until Saturday night. Cars submerged by flooding Kennebec River on Jan. 14 in Hallowell. He said the only flooding would be caused by ice jams, which are hard to predict and issue warnings. 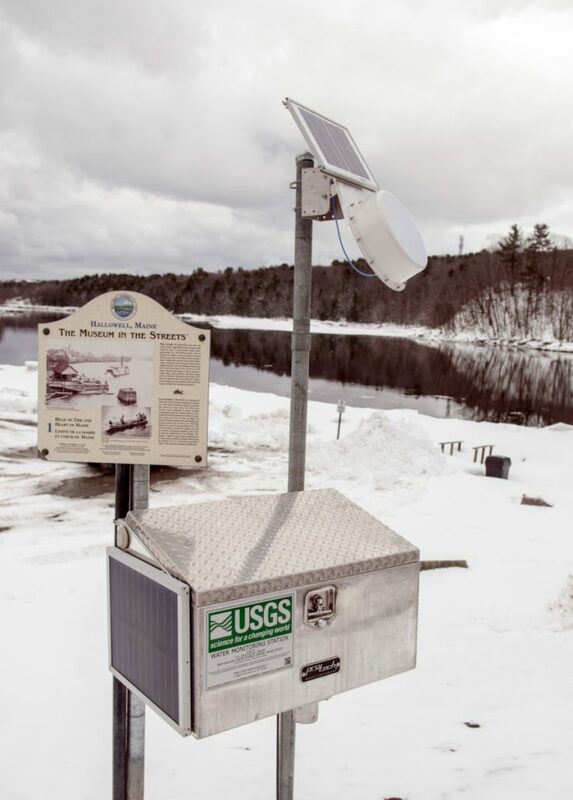 Sinsabaugh said there is more ice over rivers than usual at this time of year and ice jams could occur in any portion of the Kennebec River. Kennebec County Emergency Management Agency Director Sean Goodwin briefed members of a “flood group” that contains city officials from Kennebec County about possible flooding and ice jams in a Wednesday morning email. He said the whole network needs to be watching the river and parking in “low areas” was not advised. 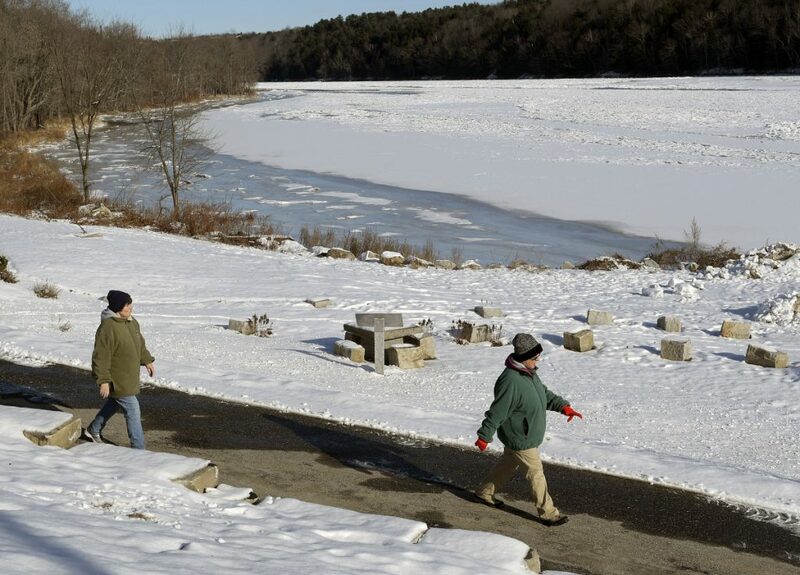 Goodwin told the Kennebec Journal that flood conditions will be worse Saturday into Sunday, as northern parts of the Kennebec River fill with about 2-3 feet of melted snow and the water flows downstream. 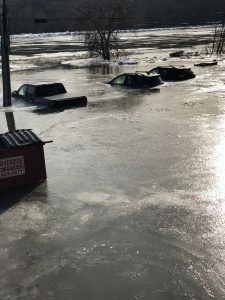 Back in January, an ice jam caused flooding in Hallowell, destroying nearly 20 vehicles and damaging several downtown Hallowell businesses. The Kennebec Journal reported that a breakdown in communication between county and local emergency management officials led to downtown residents and business owners not being wholly informed. 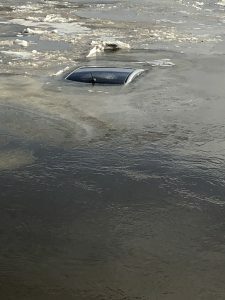 Between 15-20 motor vehicles were either completely submerged or had become encased in ice and 24 businesses were damaged. At its peak, the Kennebec River in Augusta surged above the 12-foot flood stage, reaching close to 20 feet. Downtown business owners said in January that Hallowell Police Chief Eric Nason would go door-to-door to warn business owners and residents about floods, but that did not happen. Nason said he was aware of a flood watch, which does not prompt the same action as a flood warning, but was unaware of weather service’s flood warning issued the day of the flood. Following the January flood, Goodwin said he was not in the office on that Saturday to receive and forward the warning. He did send an email to emergency management officials on that Friday addressing flood and ice jam concerns, but the email said the river would “most likely not” come over the banks. Both Nason and Goodwin said at that time there was no way to predict the whereabouts or timing of an ice jam based on the flood watch. Hallowell is already getting a jump on warning residents and business owners. The city’s Facebook page, along with pages for the police and fire departments, posted a flood alert to Facebook on Wednesday. The post said a parking ban on downtown streets, like Water Street, will be lifted from Friday night to Sunday night to provide relief for those who park on Front Street. Sgt. Jordan Gaudet said officers were going door-to-door Wednesday and preparing to send out alerts on NIXLE, a police-run text message alerts service. The service is free to use and has about 40 users, he said. City Manager Nate Rudy said the early warnings are not necessarily a difference in normal procedure sparked by January’s flood. Rudy also advocated for citizen use of NIXLE and the Federal Emergency Management Agency Weather app. He said NIXLE was implemented before January’s flooding earlier this year, but the unpredictable weather left no time to send an alert. Within the next two days, the city will install an electronic message board with a flood warning on it. A flood gauge installed in February on the bulkhead at Granite City Park could also inform emergency action later this week. Rudy said the city also updated its emergency response protocol, but it does so annually. Goodwin said there is no difference in the weather events projected for Friday and the event in January. Goodwin said the agency has expanded their flood alert list since that flood, but there is no difference in the way the agency is disseminating information. He said the agency will forward any information to local authorities, but they have no enforcement authority to make citizens stop parking in flood zones. Nason was not available for comment Wednesday.